The Frankfurt An der Alten Oper Centre is located in a well-known area in Frankfurt’s financial district. 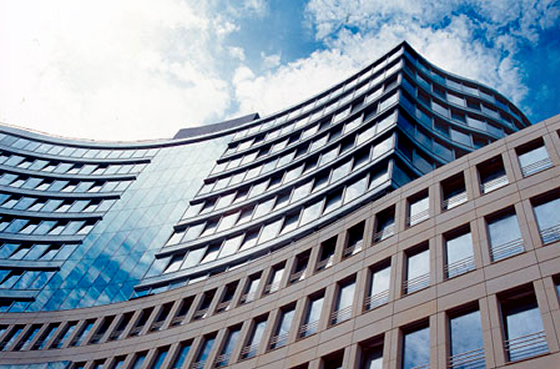 The building is known locally as the Frankfurter Welle, or ‘Frankfurt wave’ because of its flowing structure. This is one of the city’s largest post-war development projects, and special features include a ‘quiet area’, extensive landscaping, a computer centre and innovative technologies such as rainwater utilisation, absorption technology and solar collectors. This centre operator provides fully serviced offices, meeting rooms and breakout facilities within a very pleasant working environment. As well as offices the building contains residential apartments, shops and restaurants, has a gym and fitness room and underground car parking. The Frankfurt An der Alten Oper Centre is next to the old opera house, Alte Oper, after which it is named. Since being renovated and reopened as a concert hall, it is the focus of the city’s cultural activities and is recognised globally. The centre enjoys excellent transport links with the Alte Oper Underground close by on the U6&7 routes as well as the mainline train Hauptwache and Taunusanlage stations within a walk away. 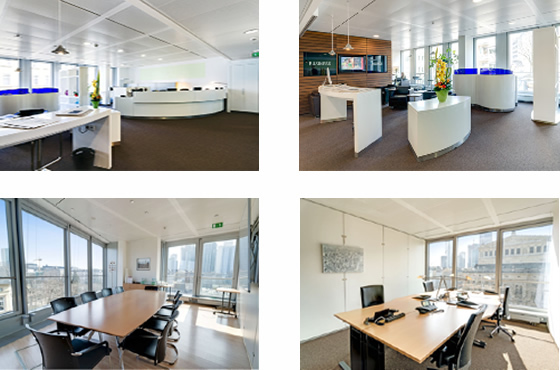 Looking for a serviced office in Frankfurt?